Perfect for play and fun! 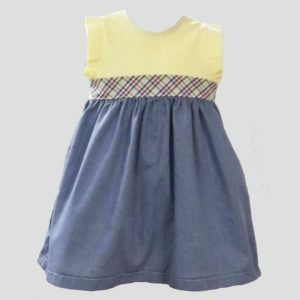 Dark gray chambray make the bodice of this little girls dress easy care and fun to wear. 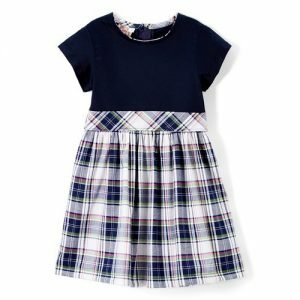 The plaid skirt and side belts and buttons add a fun touch. 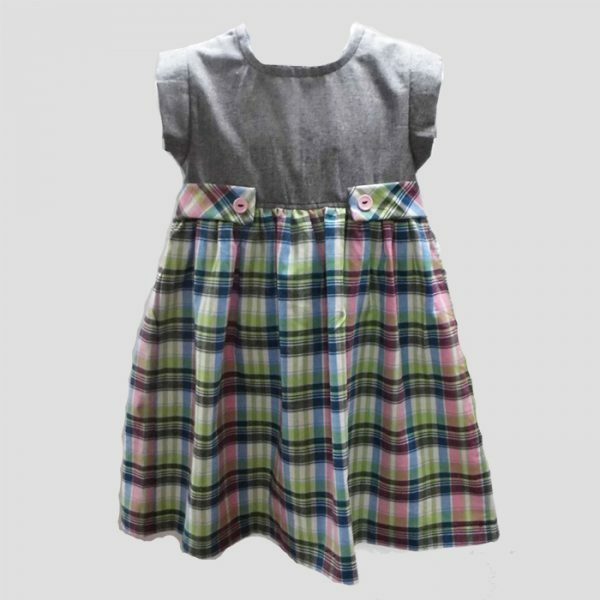 This is the perfect dress for everyday play and you will find that it is durable and loveable! NOTE: Sizes are true to age. 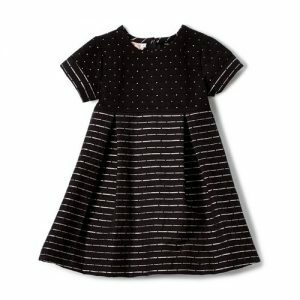 If your little one is average for her age please select the size that coordinates with her age. Yes our dresses are larger than most American sizing. We usually ship priority mail within 3-4 business days of receiving an order.